There is something amazingly comforting about a bowl full of cooked vegetables. It’s like you’re getting the best of something nourishing and something comforting. It’s also easy to mix, match, and adapt these recipes, making them accessible for weeknight cooking. 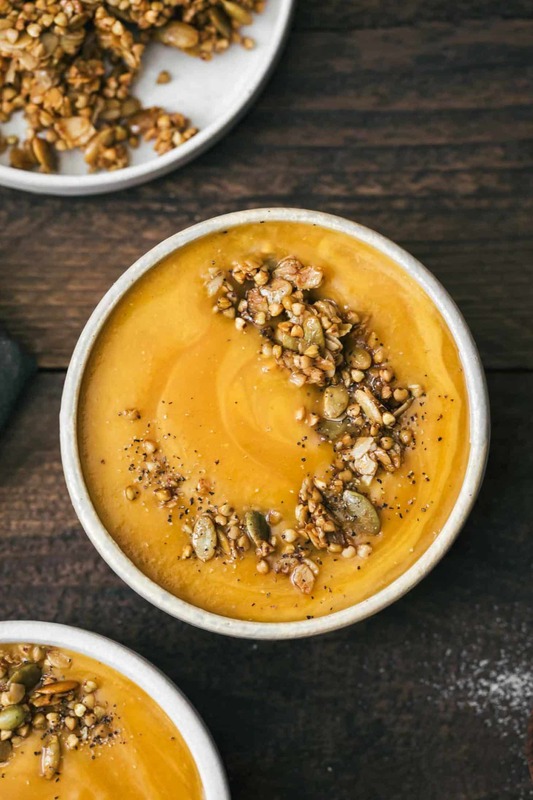 Below is a list of my favorite vegetarian bowls for winter. 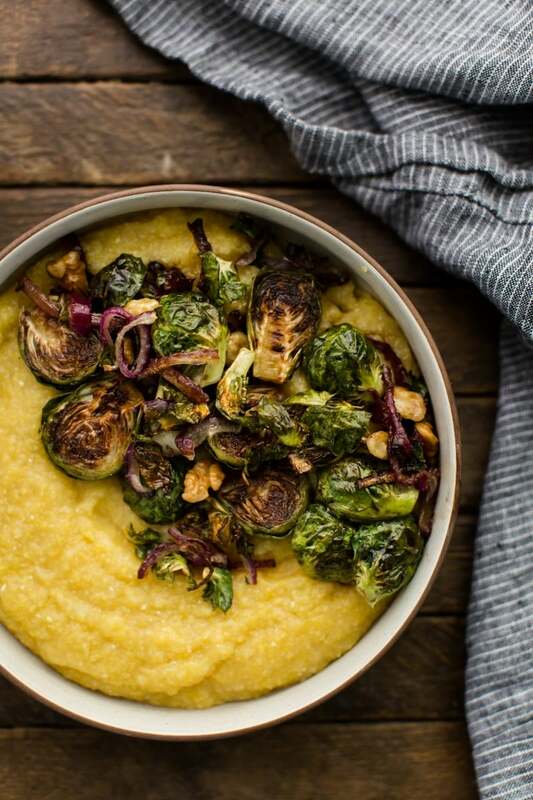 Get ready to curl up with the fire going and one of these delicious bowls. I’m not sure what my cooking would look like without grains. They are about the easiest thing to throw into vegetarian bowls and have success. Use as a base for roasted vegetables, add some legumes, and finish with a sauce- it’s an equation that you can use over and over again without eating the same thing twice. 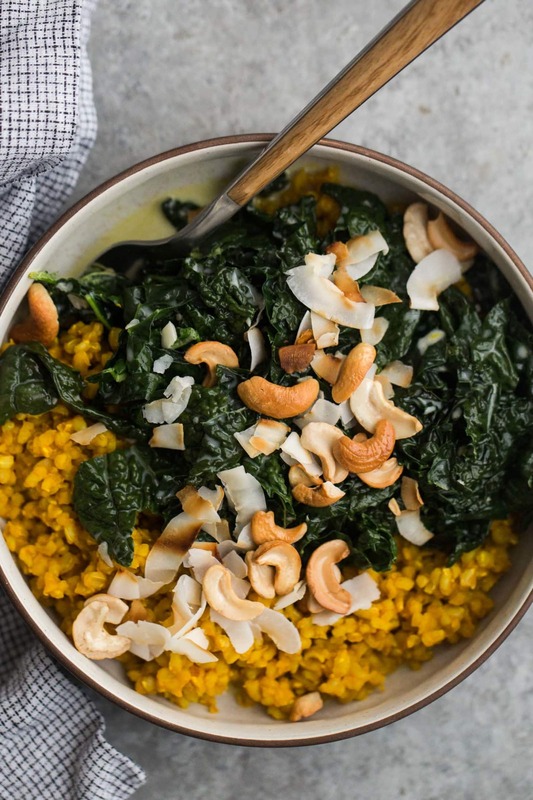 It’s hard to choose just four recipes but these are the meals currently on heavy rotation in our house (with some grain swaps for time- like quinoa and millet). It’s a given that any list that has comforting winter meals should include soup. Whether it’s a soup, stew, or chili- I’m all for them. I always tell people that if you want to try a vegetable you’ve never tried, first make it into a simple soup. I’ve yet to really meet a vegetable that doesn’t do well in a soup. Let us not forget breakfast! While these are perfectly acceptable for breakfast, we eat breakfast-for-dinner almost once a week. Porridges are the perfect bridge, especially when they fall on the slightly savory side. 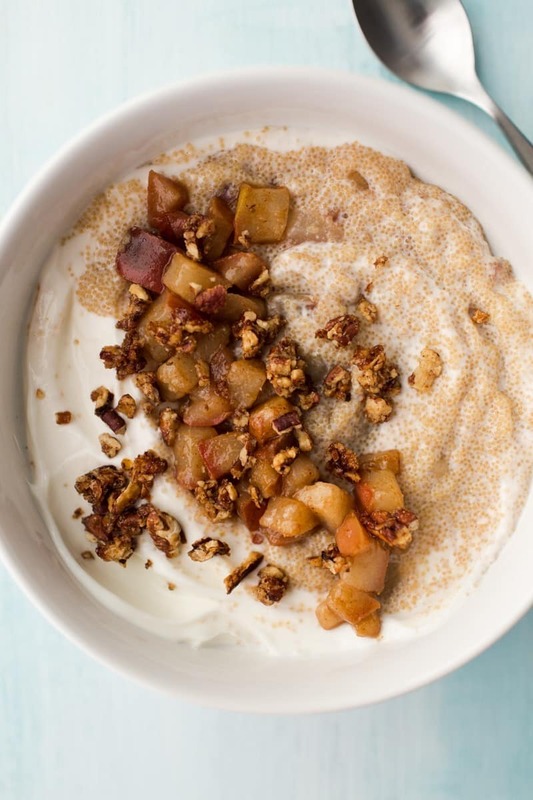 These porridges also work well in a big batch and reheated for a quick breakfast win. Much to my husband’s chagrin, polenta is MY comfort food. Give me vegetarian bowls of polenta with a bit of butter and cheese; you have one of the keys to being my friend. Add to that greens, vegetables, and sauce- it’s a little bowl of winter comfort. When it comes to polenta, you can use the tube stuff but I highly recommend getting a few scoops of polenta from the bulk bin or making it with fresh (or frozen) corn. 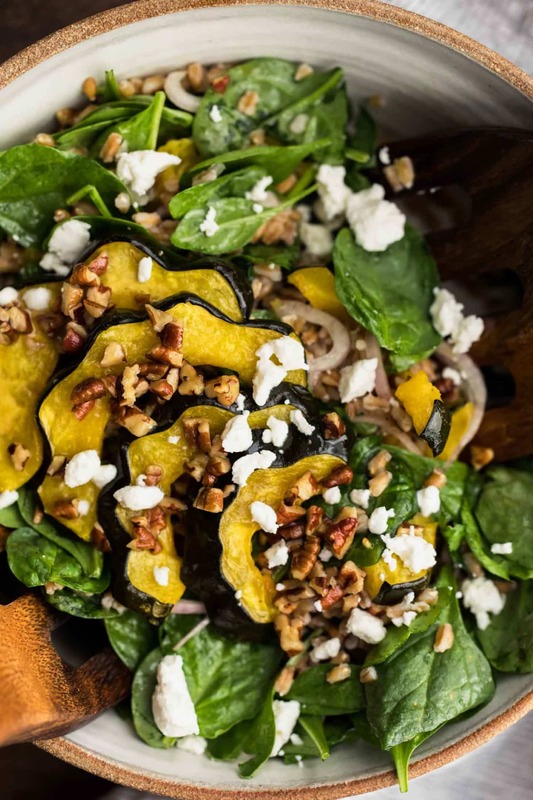 Salads are best in the cooler months. The greens are sweeter and I find have more flavor with the help of a bit of cool weather. Plus, warm salads are a beautiful thing. A bed of fresh greens topped with roasted vegetables and the perfect dressing- what else could you need?